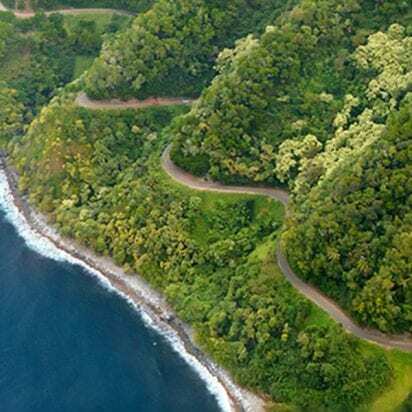 The highway that leads to Hana can be a Maui adventure of a lifetime. It’s also a long day. 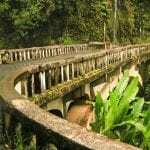 The road has many twists and turns with over 800 curves and 54 one lane bridges on a narrow road that stretches 36 miles to Hana Town. 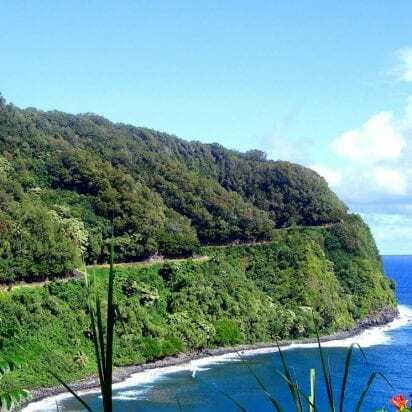 Hawaii Tours’ Road to Hana tour uses a 16-passenger Mercedes Benz luxury touring coach for their tours. 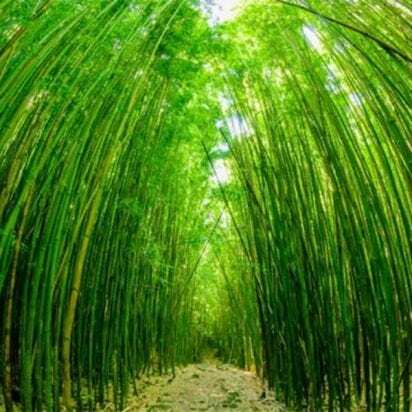 They are specially made for tours in Maui. 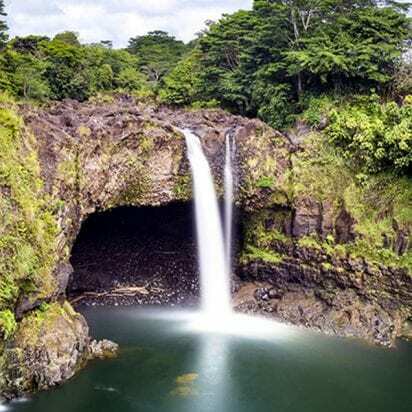 During this adventure with Hawaii Tours, you will discover the natural wonders along the road from waterfalls that cascade under the brides to the dense bamboo forests that move like swells in the sea with the breeze. Every point of interest is explored. 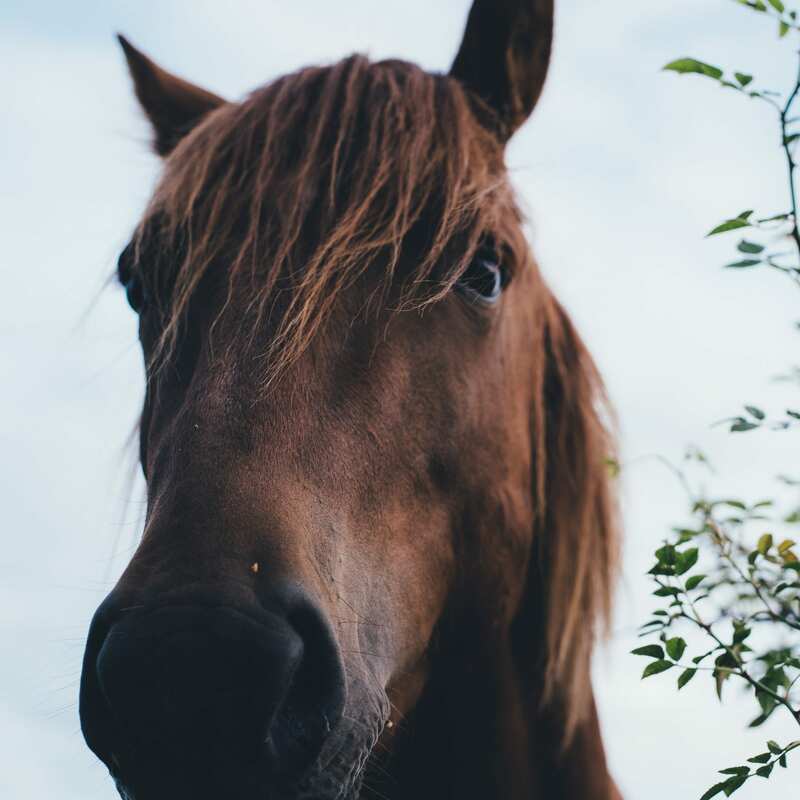 In some cases, there isn’t much time to wander off the beaten path, but the possibilities for another time will be logged for future reference. 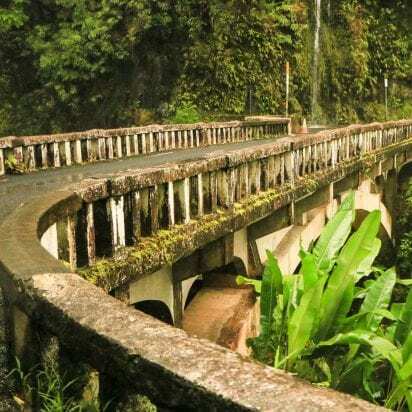 Of all the Things to Do in Maui, this Road to Hana tour is one of the very best. Your tour guide for the day is locally born and raised along the Hana Highway. The history of the area is as fascinating as the wonders. 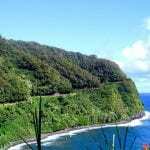 They will share the legends, myths, and history of the generations of Hawaiian who have called the Hana Highway home. 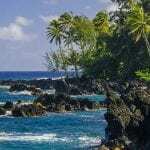 Most of the land was given to families through land grants from the last reigning Queen of Hawaii. Waianapanapa State Park is also mystic. Legends say there were lovers who tried to hide in a cave behind a hidden pool. They were discovered and killed by a jealous prince of Hawaii. The cave in question is down a set of stone stairs that leads into a volcanic pit. There is a sign that shares the story. But it appears the black sand beach holds most of the fascination for people who visit the park. Just remember if you elect to walk down the hill to the beach, you have to walk up that same hill in order to get back to the park. It’s a very steep hill. The seven pools have held a wonder among visitors to Maui since the island became a tourist destination. The lower pools are a short walk from the visitor center. However, the upper pools are a hike. You can swim in the lower pools, but the one under the bridge is virtually impossible to access. The road along this portion of the highway is paved. The road becomes smoother and your guide picks up the pace a bit as there are no stops during this part of the adventure. As you round the bend in Kanio, the breadth of Maui County can be seen stretching to the horizon as the other 4 islands that make up the county become visible, distant, but visible. Most Maui activity agents will tell you to wear a swimsuit under your clothes so you can swim in the seven pools. There really isn’t enough time to swim and enjoy yourself in the pools. I would not recommend that you swim in the pools. They will be crowded and the rocks are slippery. There are other things to occupy your mind, like staying dry for the rest of the day. Water, juice, a snack bar, fruit, and chips are included with your choice. 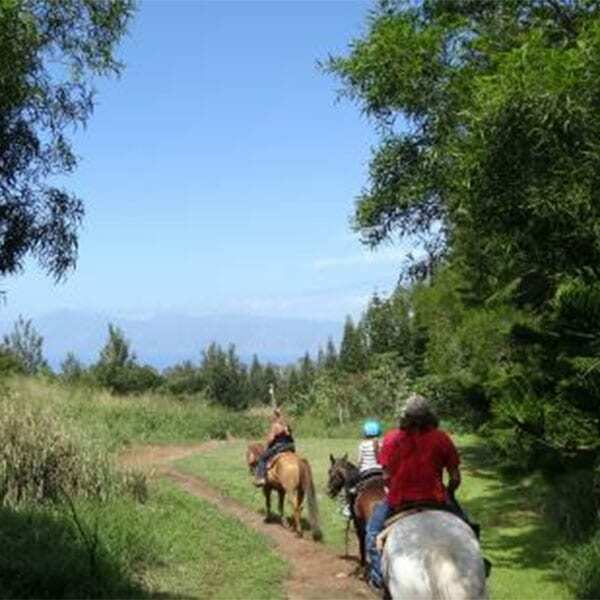 Relax and enjoy the Road to Hana Maui with Hawaii Tours. 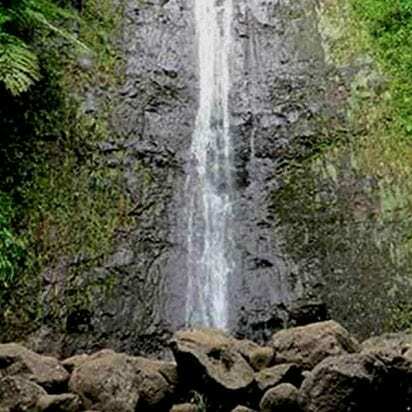 With this full circle tour, you will enjoy all the sights that have made the Hana Highway so famous. You can stroll through the rainforest discovering some of the waterfalls that make the journey so special. 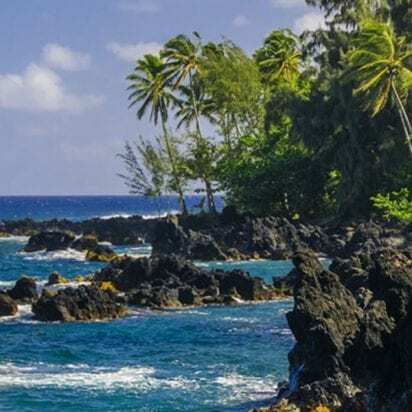 Explore the caves and black sand beach at Waianapanapa State Park and swim at Hamoa Bay, voted the best beach in America several times in the last 15 years. As you wrap around the back side of Haleakala wonder at the rugged beauty and rolling hills of this remote stretch along the Hana Highway. 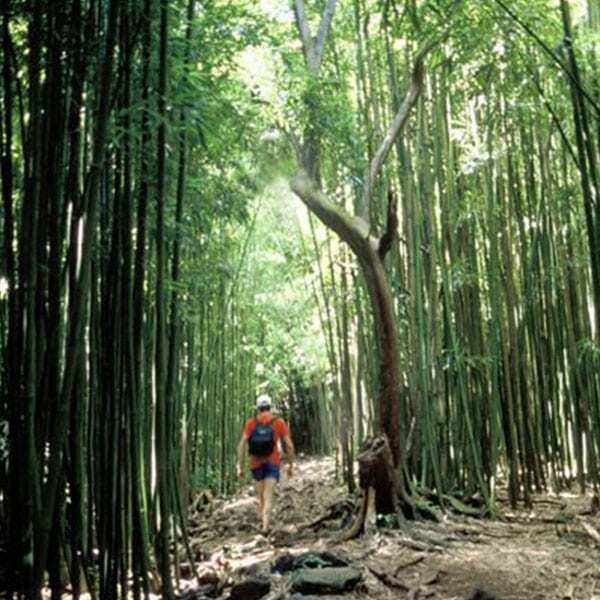 Escape & simplify your adventure to Hana in style and discover Maui along the way. 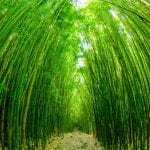 Maui Activities: Maui Land Activities, Road to Hana Tours. Please selectPick-up times vary according to hotel or condo.